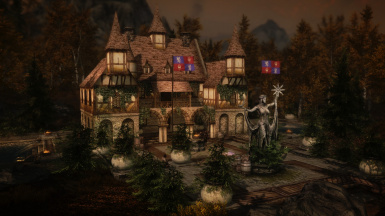 Azura's Dawn is a luxurious mansion situated beautifully on the Treva River, halfway between Riften and Ivarstead. This mod uses a lot of resources by other authors. Check the supplied comprehensive text file with credits to find the resources! 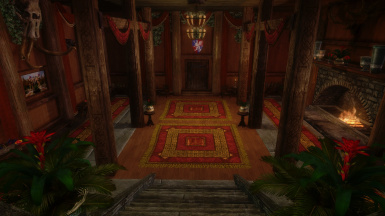 Some of the paintings use concept art from Elder Scrolls Online. The music was originally written by Eric Heberling for Elder Scrolls II Daggerfall, and remixed by Dan Goodale (https://dangoodale.wordpress.com/). 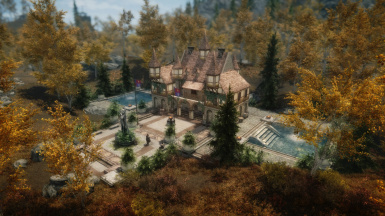 Azura's Dawn is a luxurious mansion situated beautifully on the Treva River, halfway between Riften and Ivarstead. 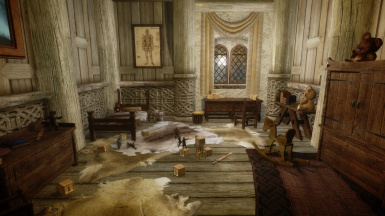 The Mansion is done to be just a lovely environment to relax in, but has all the needed infrastructure; like lots of beds for followers, crafting chamgers for crafting, enchanting and so on, a treasury and even two specific children's rooms. I hope it will be a nice place to explore and use as a base for further adventures. 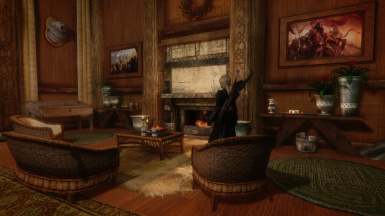 I use it as a headquarters for my Dragonborn. 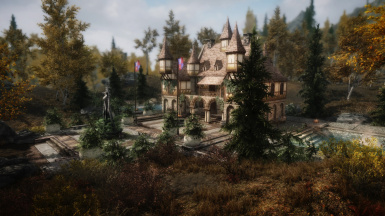 There are lots of idle markers, both outside and inside; I usually kidnap people to populate the mansion using AFT's "Make Follower" spell and right now, I have a whole battalion of Dawnguard guarding the mansion. There's no story to it, or quest to earn the mansion; right now, you just walk in and claim it. If there's an interest, I could do a little quest and make some servants too. This has been stored on my harddrive for several months. I was going to do a couple of other small things on it, but never got to it, so I'm releasing now so people can enjoy it. The main download has no dependancy at all. There's an optional download, which adds Hearthfire support, especially if you're using the Multiple Adoptions Mod. I recommend manual installation, but that's because I'm a PC Master Race nerd who wants to make things needlessly complicated. Nexus Mod Manager should do the trick perfectly well when installing. For manual installation, copy the contents of the zipped folder and drag it into your Skyrim/Data folder. Be sure to tick the mod in WryeBash or whatever manager you're using. The zipped folder contains an .esp, a .bsa and a music folder as well as two text files. The map marker is visible from the start and you can fast travel there. It's located halfway between Riften and Ivarstead. 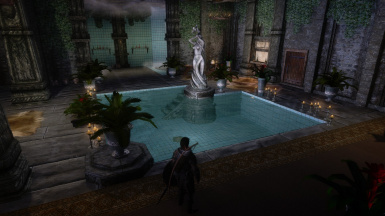 There are some small pathing problems outside the mansion, especially when using the Skyrim DLC. I thknk it's HearthFire that adds a clay resource outside the mansion and since it's no biggie, I didn't want to remove it or make the mod dependant of HearthFire at this point. There is a complete text file with the resources used for this mod included in the download. Most of the new resources were conversions and material made by Tamira. The music is from Daggerfall, converted by Dan Goodale (it makes me cry of nostalgia). 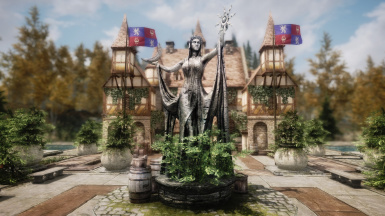 the awesome Azura statue was made by AnTiWoMaAgNoT. All resources are used with permission. Do not change and/or upload to anywhere else. This is for the Nexus only. Thank you. Permissions for further modding and improvements will be liberally granted if you just ask. Report any problems and send me comments and suggestions! Vote up and like! Thank you, Hodilton for the excellent video featuring Azura's Dawn. - Added a very basic collision cube to the stairs in the Gallery, so you won't at least fall through with ELFX. - Added Armourer table to the crafting chamber. - Worked on alleviating clipping near certain doors. 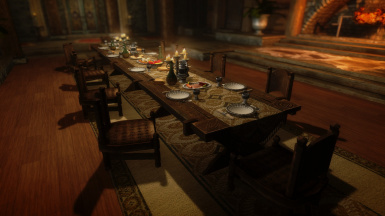 - There are now cooking possibilities in the Kitchen AND in the Crafting Chamber. - All barrels in the Crafting Chamber are now non-respawning storage containers. - Tagged the cells properly (at least your follower will now wear his/her home outfit in AFT). - Added servant staff members. Five NPC's in all with AI packages. The groundsman is a potential follower. - No sunlight shining at interior windows at nighttime anymore. - Some additional details and cluttering added here and there. - Fixed missing textures on one of the wineracks. - Added a library room. Entrance through the Gallery. - Added Hearthfire Multiple Adoptions support as an optional download.